A group of Vincentian men, responding to the need in a community that lacked support for its faith, started a revolution of immigrants returning to their Catholic faith. When people think of the Hamptons, they initially envision affluent residents vacationing on beautiful beaches, donning floppy straw hats, and living in mansions. But upon a closer look, there lives an immigrant population nestled in the midst of this popular beach town, a vibrant and strong community not always associated with the area’s prosperity. 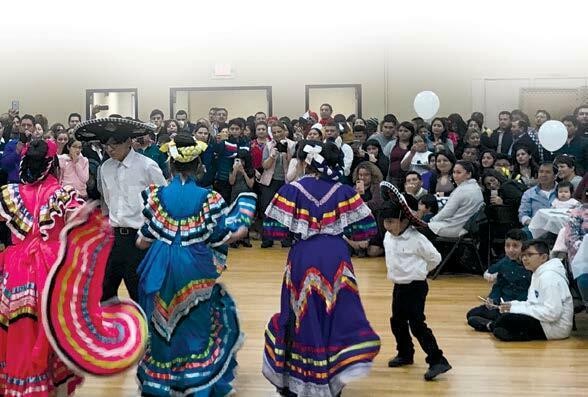 The Congregation of the Mission, more commonly known as the Vincentians, has a ministry on the eastern end of Long Island, which serves the Hispanic-American community. The genesis of this Hispanic apostolate, also referred to as Hispanic ministry, began around 1990 on the western perimeter of Long Island. Fr. Kevin Lawler, CM, a missionary priest in Panama, was transitioning back to the United States and hoped to continue working with a Hispanic community. He identified a need in Long Island, where many underserved communities in the area of Nassau County could benefit from a Hispanic ministry. In the fall of 1992, a plan of Hispanic evangelization was put into place, and the ministry commenced. In 1993, Fr. Gregory Semeniuk, CM, joined Fr. Lawler in this ministerial work. It began with a simple gesture—a knock on the door of potential parishioners— that ended with an invitation to participate in Sunday mass. From there, this ministry expanded to administer the sacraments, organize lay faith formation programs, preach God’s word in Spanish, and, most importantly, evangelize and spread the Good News within the community. Fr. Semeniuk recounts how he, his fellow confreres, and leaders in the community reached out to the Hispanic population and invited them to participate in the ministry. This direct contact and invitation ignited the community to grow grassroots style into the thriving, active community it is today. Hesitation and skepticism were commonly felt by those on the receiving end of this Hispanic ministry, who had been overlooked before, resulting in a lack of trust and confidence. Therefore, Fr. Semeniuk, along with the entire evangelization team, knew their words needed to be backed by action. Connecting with the community, training the leaders, and visiting every home in the parish were top priorities. The team drew a map of the community and divided it among themselves. Weekly, they paired up to knock on doors and visit Hispanic parishioners delivering their simple introduction and invitation to participate in the faith. “I didn’t know Catholics did this,” says one parishioner, who was caught off guard by the visit and invitation. What happened next is nothing short of a miracle. 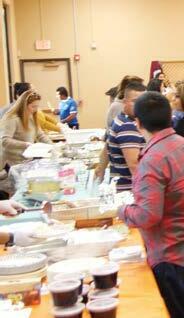 People were returning to church and participating in the lay faith formation programs. During this early time of the ministry, Fr. Semeniuk recalls visiting a young woman and her two-year-old child. While the visit was short, it was effective. The following week, he saw her in the communion line. Their eyes met, and she was smiling. It affirmed to him that the simple gestures of visitation and invitation served as bridges to bring her back to the faith. It may be hard to say what the final outcome of that specific visit was, but it proved to Fr. Semeniuk that they had discovered the basis for developing a true community, where people socialized, came together to volunteer and deepen their faith. Fr. Semeniuk reminisces about the changes he has witnessed over the years. What is so special about the community and the people is how they support each other during tough times. Fr. Stephen Grozio, CM, Provincial of the Congregation of the Mission Eastern Province, recounts his many years serving the apostolate. 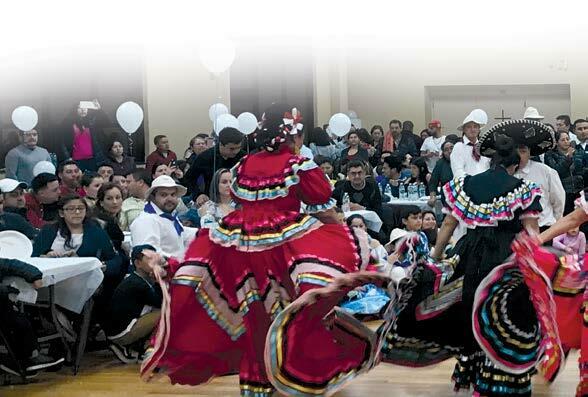 The Vincentian Priests noticed this specific struggle during the winter months and worked with the parishioners to create what they call, Encuentros de Cultura (Cultural Festivals), special fundraisers hosted in the fall in which community members bring authentic food, dress in traditional garb, celebrate Mass in their native tongue, and share their culture with others. The communal support, generosity, and money raised is then distributed to those who struggle financially in the wintertime, helping to pay for heat, car expenses, rent, or groceries. Fr. Grozio shares a story about a parishioner who sought help with her rent. When asked why she needed assistance, the woman responded, “During the summer, I cleaned five houses each week. Then one of the women whose house I used to clean passed away. So then I only cleaned four. I lost one fifth of my income, but I still have enough to get through the winter. Then my car broke down, and I needed to pay $2,000 to repair it, and I don’t have enough to pay the rent this month.” The Long Island apostolate quickly came to her aid. Tania Maza, originally from Ecuador, has been a part of the Long Island apostolate for 16 years. She was invited by friends to visit the apostolate and quickly realized how different the Vincentian priests are, and how valuable the apostolate is for the community. Tania was on the receiving end of that help back in 2005 when her husband was murdered, and she was left a widow, raising her daughters on her own. It was Fr. Grozio who supported her throughout this difficult time, and who held her hand as she navigated this life without her spouse. He taught her to be different, to be tough, to be a strong woman, to be a strong mom, and, most importantly, to be a servant. She will never forget the kindness and support he gave her and her daughters. Her eyes are glassy, holding back tears, as she says, “He is like a father figure. To have him is to have God with me as a person. I respect him so much, and he is greatly missed by the parish.” Moments like this are testaments to the impact the Vincentians have had on individuals within the community. The Vincentians serving in the Long Island apostolate are truly working in a missionary style. While they minister to seven parishes in Long Island, they use a missionary spirit in the institutionalized parishes. They are successful in this manner, because they ask the people exactly what they need and meet them where they are. 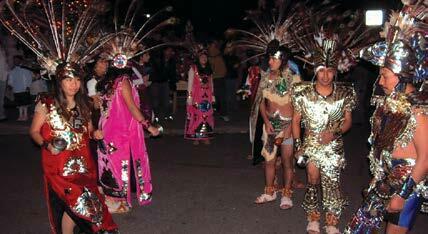 An example would be how the Hispanic youth groups are organized. 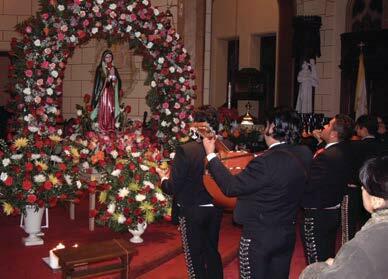 It was noticed by the Priests that the Hispanic population was not attending the normal weekly youth programs provided by the parish. The Vincentians questioned the parents why their children did not participate, and discovered that most parents were still working at the time the youth group met and were unable to provide transportation for their children. Based on their input, the Vincentian Priests organized a youth program that took place at eight on Saturdays mornings, at a time requested by the majority of the apostolate. The result: parents, youth, and children quickly began participating in this and other programs during a time that worked for their schedule. Fr. Semeniuk is proud of the Vincentian impact and how his missionary vocation re-ignited the Long Island apostolate. 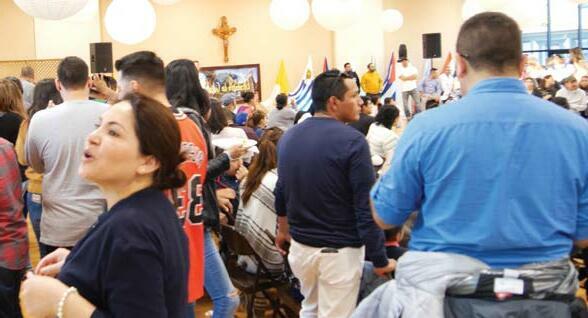 The Long Island ministry has grown into a vibrant community of Hispanic-American immigrants coming together to express their Catholic faith by organizing faith programs, bringing together different cultures, and supporting those in need during tough times. However, it is the people who make the Long Island ministry a remarkable community. They open their hearts to the faith, to the Vincentian teachings, and to their neighbors and the traditions of others.